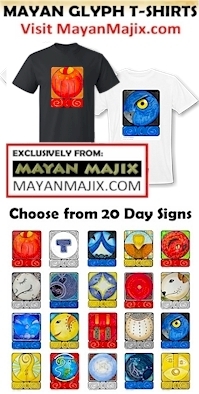 The Cherokee Day Sign, the Owl, is the mystic ferryman that holds the torch aloft to our passage to the stars. The gravity of the world can’t hold us down when our Hearts are opened to Forgiveness. Human’s challenge to forgive is the Ego that desires for the “other” to Know and Acknowledge the suffering they have caused. The substance of our own solution to Forgive and Forget is to Know and Acknowledge the suffering that We caused by our own judgement of another. Resentment is the symptom of our own lack of Unconditional Love. We can Forgive and Forget in our Consciousness of the suffering of the Whole. We all fail as Human to Acknowledge that all of us, in our own broken Human way, are crying out for Love, crying out to be One with the Whole. Through the One Divine Mind of Consciousness we can see how we are ALL Suffering for Love. Through Forgiveness Human is shape-shifted into a Divine Identity. We might remember how it feels to be Forgiven. When we are forgiven we Know someone saw something Divine in us, something that holds greater value than our Human shortcomings. When we are forgiven, we see the influence of a Divine Intention. We reveal a Light Higher than our Human Nature. This is a day to remember the Wisdom that was saved for us. The Maya left an Inheritance of Wisdom in stone. Kulkulkan is the Feathered Serpent. Down through history the Serpent and Dragon have been symbols of Enlightenment and Illumination. The Divinity of Human is born through the Sacred Gift of our Consciousness of the Divine. Within the Seed of our Self, our DNA marks our Human capacity to Conceive the Truth of our Spiritual Being. Kulkulkan was an Inheritance passed on by the Maya as the Wisdom that we are Reborn through our Consciousness of Divine Spirit. Wisdom/CIB reveals the Divinity of our Consciousness, the gift we are offered to “see things clearly” through the eyes of Unconditional Love. CIB encourages us to see how all our experiences are a storehouse of Divine Knowledge and an archeological treasure. We were given the Consciousness to travel back in time through all our experiences to discover the Love we never saw before. The Love that was unacknowledged in the past, maintains its Healing Power in the realm of the Present. Childhood experiences of “injustice” were among my hardest to forgive. I carried on a story of my past for decades, defined by those experiences. Only in a Conscious effort to reflect on my past again, was I able to see the Overwhelming Intention to Love. Among all the broken efforts of Human, I saw the Truth and my story changed by remembering the Love. Once I saw it, the Love was multiplied to abundance. I saw the fault in myself for judging an experience based on their Human errors, when the bigger picture was Love. I could Forgive and Forget, because I saw the error in myself in all the Love I’d overlooked. One of the greatest gifts we can pass down to our children is to forgive them for the Love they have yet to see. Like Mother Earth who has supported us Loved us through All our Time, there is no way we can Know the end of all the Love that has been given. Yet, She keeps on giving. Through the eyes of Forgiveness our Consciousness is open to consider the Eternal Value in our unseen gifts of Love. We can be Grateful that by Divine Justice, we leave More Love to be discovered as unknown treasures we left behind. In our Human climb for Love, CIB shares the Truth of Love from the Beginning to the End of all our Time on Earth. We are given New Eyes to see it through an Offering of Human Forgiveness. Today the Love we Intended is stored eternally in the realm of Spirit. To all my relations, at the Altar that marks the peak of our Human climb, may we offer our Human self in the Humility of all that is broken and in need for Human Forgiveness. May our Forgiveness of others be our Sacred Exchange for Being Seen by the Creator as Pure in the Divinity of our Spirit, no matter our Human condition. May we See through the eyes of the Creator how all our Human hearts are broken, and that the Creator sees us as Sacred in our suffering for Love. When we face injustice in the world, may we Recognize it as the Suffering of the Whole of Humanity. May we carry a Light Unto our Self that will shine a way to Love through Forgiveness. Through Human Forgiveness may we reveal the Divine Spark within, that shines a way to the Divine Light of Unconditional Love. May we Honor the Old Ones and all their Love that is stored up forever in the realm of Spirit. May we ask for the Creator’s Blessing upon all the Human Love still waiting for another Human to see. May we gather our archeological treasures of Love through our Reflection to draw the Light of our Past into our Experience for the Future. May our own Forgiveness of our Self and Others be the Offering we bring to the Highest Altar. May we Honor the Proven and Worthy Spiritual Tools that were preserved for us by the Old Ones. May we Know that our Love and Forgiveness shine even brighter when they are discovered among the archeological treasures we leave behind. I’m grateful for the Forgiveness of those who waited for their Love to be Seen and Acknowledged, who forgave even as they were unforgiven. May this be the Divine Inheritance worthy for us to share, just as it was shared with us.